It’s that exciting time of year again where we start getting teasers and sneak peaks of filming on location for Series 11. 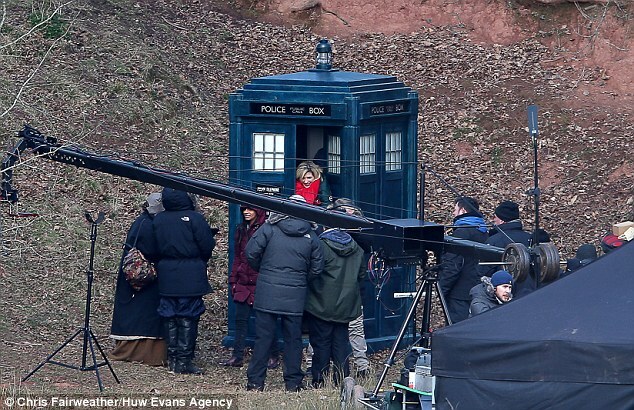 In some recent photos posted online, we got a proper look at the Thirteenth Doctor’s new TARDIS on location during filming with Jodie Whittaker, Tosin Cole, Mandip Gill and Bradley Walsh. 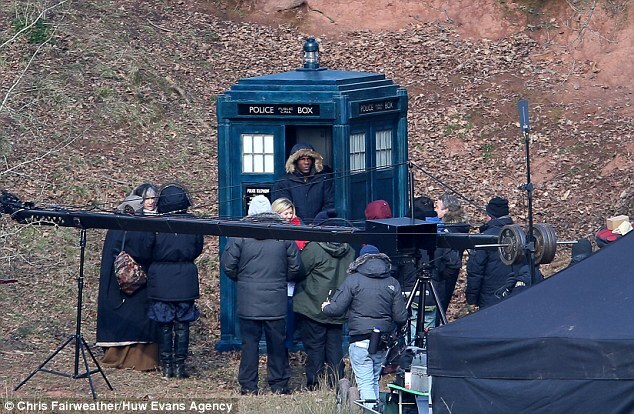 The photos show Jodie Whittaker and companion actor Tosin Cole exiting the TARDIS, dressed in padded coats and carrying a water bottle to combat the chilly, sub-zero weather. As spotted on the promotional images that we’ve already seen, the new TARDIS features several distinct changes, including the black ‘pull to open’ sign, the removed St John’s Ambulance sign and the simpler window colours.